The world of everyday commuting is currently defined by carbon dioxide emissions, traffic, and car accidents. Innovative thinkers are devising new ways to return transportation back to an environmentally friendly endeavor. Visionary Ryan Gravel set out to convert 22-miles of unused railway circling Atlanta into a bike and pedestrian loop surrounding the city. The Atlanta Beltline is offering cities throughout the world a glimpse at what the future could be, introducing safe commuting in urban settings. The more carbon dioxide released into the atmosphere, the quicker we warm our planet. This is already playing out in irregular weather patterns and dangerous hurricanes. The Beltline encourages everyone to do their part and get to work on foot or on bike, with no dangerous toxins emitted in the process. Anyone living in Atlanta knows how terrible the traffic can be (the 26th worst commute in the country). Reducing inner city roadway clogging by using the Beltline means one less car on the road. With less cars on the road, we can all enjoy a cleaner, quieter city with a little less of the honking and dangerous driving. 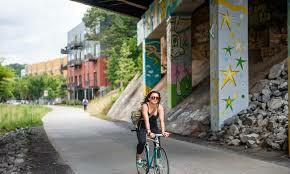 Whether you’re into fitness, yoga, biking, jogging, or just walking, using the Beltline encourages your body to get moving when commuting to and from work. We spend a lot of time sitting in front of our computers today, resulting in little movement and cardiovascular activity. By using the Beltline, you get moving while enjoying the great outdoors. The Beltline encourages individuals that would have otherwise never meshed in urban parts of Atlanta to mingle with the many cultures and communities in our lovely city. It brings people together from all different walks of life, encouraging collaboration and friendship at its most fundamental level. Learning how others in our great city lives helps us understand each other better. The Beltline has improved the overall property view and therefore opinions of areas near the Beltline. New businesses are eyeing opportunities that never existed before. It’s bringing new business, and therefore jobs, to people who need them the most. Choosing to buy coffee or shop at a local store off of the Beltline is an investment back into our communities. 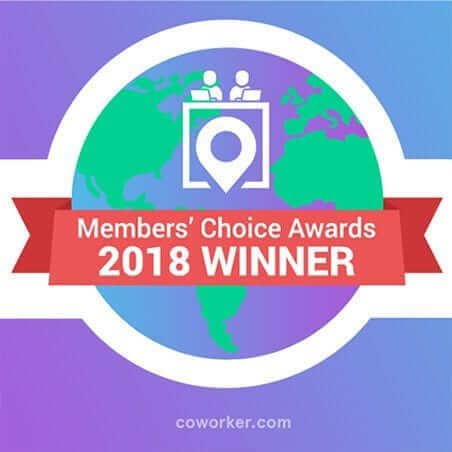 Alkaloid Networks is a coworking space passionate about bringing together people. Creative people, innovators, earth-shakers, and personal individuals create our community. Home to a diverse membership, we take our beliefs regarding diversity and wellness seriously, encouraging everyone to make use of the Beltline. It’s better for you, our members, for our communities, for Atlanta, and for our planet as a whole.